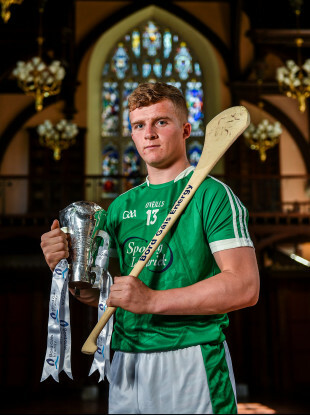 Limerick face Cork in tomorrow’s Bord Gáis Energy Munster U21 final. AS A DANGEROUS corner-forward, it’s no wonder Limerick’s Peter Casey enjoys being afforded space close to goal, which is why he holds the U21 grade dear. The Shannonsiders will look to claim the Bord Gáis Energy Munster U21 title tomorrow night when Cork visit the Gaelic Grounds. Casey feels that the straight-knockout format – and absence of defensive systems – are what gives the grade its enduring appeal. “I think that’s what makes it so unique,” he says. “It’s knockout and that’s what makes it so entertaining for the people watching. For us playing, there are no sweepers and management probably don’t have too much time with the players, so there’s no real chance to implement systems, you just go out and express yourself. “I’m sure the two teams will be going at it hammer and tongs. If you looked at the game yesterday [Waterford v Wexford], anyone in a full-forward line would hated it. From that point of view, you love it when it’s one-on-one and I’m sure the backs love it as well. Casey was one of five current U21 to feature as Limerick exited the senior championship against Kilkenny at the start of July. As well as the primary aim of securing silverware, he hopes that this year’s U21 run can also lay the groundwork for next year at senior level. “From a senior point of view, it didn’t go as well as we would have liked,” he said. “We had two games, losing to Clare and Kilkenny, but we’re a young team and I’ve no doubt we’ll come back stronger next year. Three years ago, the Cats were also a thorn in the side of Casey and Limerick. In his first year as a minor, he was part of a Treatymen side which got to the All-Ireland final only to fall to the Cats. Going a step further is obviously the natural aim, but in order to do that the focus has remained on the task at hand. “We’d have been very disappointed losing to Kilkenny in Croke Park,” he said, “but we knew that we had a strong team this year and that we’d be able to give it a right crack. “The management have been very good in ensuring that it genuinely has been one game at a time, Tipperary, Clare and now Cork. “They’re going for the treble this year in Munster so it’s going to be a massive test, but one we’re all really looking forward to. Email “'There are no sweepers...you just go out and express yourself' - Casey enjoying U21 campaign”. Feedback on “'There are no sweepers...you just go out and express yourself' - Casey enjoying U21 campaign”.